As with last month the largest numbers of birds were ducks at the Sewage Works – over 1300 Northern Shoveler and nearly the same number of Common Teal were there. There were also a few Common Shelduck there as well as two Gadwall, a Northern Pintail, five Wigeon and a Ferruginous Duck. There were at least fifteen Black-necked Grebe and over two hundred Little Grebe as well as 350 Coot and nearly a hundred Black-headed Gull. There was a Black-winged Stilt and a Common Redshank on the Sewage Pools and in the fields there were over forty Northern Lapwing and six Ruff. 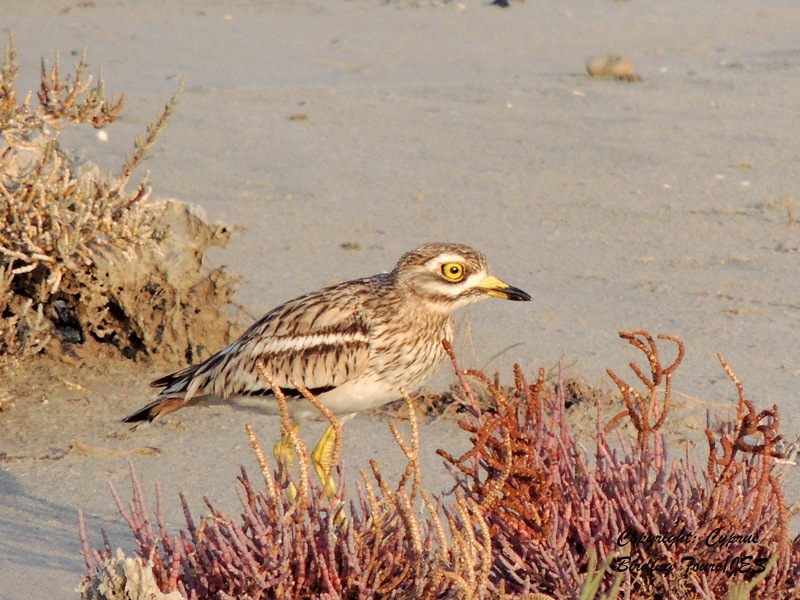 There were more than four hundred Golden Plover on Larnaca Airport Pools South and I also found three Eurasian Stone Curlew. Twelve of the Greater White-fronted Geese and the Greylag Goose were in the fields there while the thirteenth Greater White-fronted was on the Sewage Pools to where the others returned during the morning. On the offshore buoys I could count six Sandwich Tern and there were two Marsh Harrier and a Hen Harrier quartering the area. There were only just over 300 Greater Flamingo on the main Salt Lake and they were all collected in the north-east corner. There were around 850 Common Shelduck as well as over 500 Black-headed Gull (with a lone immature Mediterranean Gull in with them) on the lake. Most of the birds were also in the north-eastern area – Dunlin, Kentish Plover, Little Stint, Common Ringed Plover, Common Redshank, a Grey Heron, a Common Snipe and around sixty Common Teal. I found a couple of Water Pipit and saw four Reed Bunting in one area and heard two others elsewhere. Another Marsh Harrier was also hunting in the area. 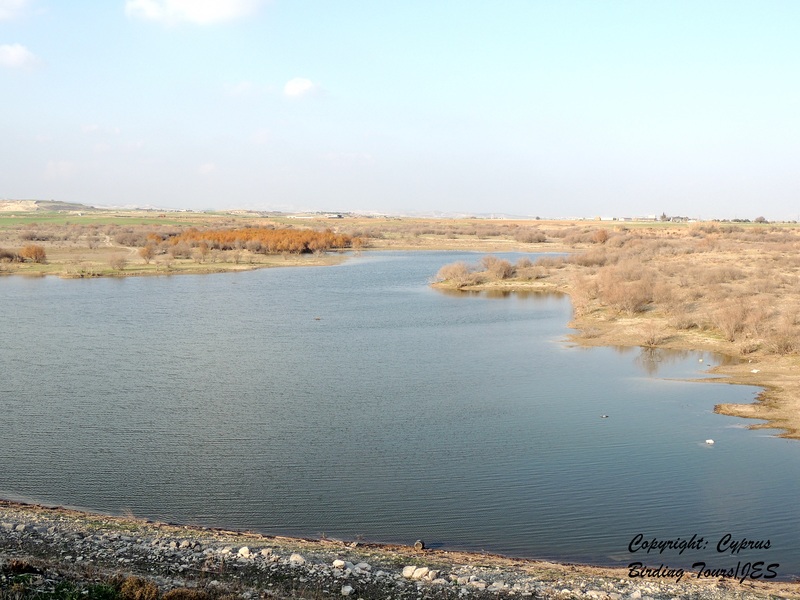 I then visited Kiti Dam for the Waterbird Count – it has some water but no waterbirds. I returned to Larnaca Airport Pools South in the late afternoon and by then there were at least 28 Armenian Gull, twenty Caspian Gull and two Heuglin’s Gull (Lesser Black-backed Gull). The Heuglin’s Gull may have been the same two that had been seen by other birders on the main Salt Lake on Sunday afternoon. Categories: Birding | Tags: Cyprus Birding, Cyprus birds, Cyprus birdwatching, Larnaca birdwatching | Permalink.